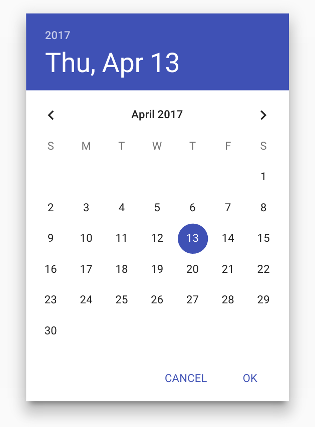 Provides a responsive date picker based on the material design spec. 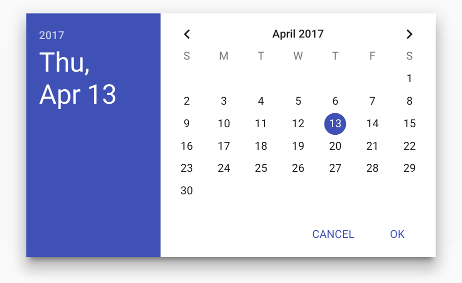 This component aims to be a clone of the date picker introduced in Android Lollipop. See the component page for full documentation. Pull requests are welcome and greatly appreciated. However, in order to speed up the review process, pull requests will not be merged if they include multiple unrelated changes (eg: "Fix for XYZ and other tweaks"). Also, don't include "opinionated" changes that aren't necessary for the feature or bugfix. When submitting a PR for a bugfix, please reference the issue number in the commit message. For example: "Fixes issue #123". If you find this component useful, please show your support by donating to Bold Idea. Click the button below!